The Scottish Caravan Motorhome & Holiday Home Show will once again be held at the SECC, Glasgow and will run from Thursday 7th - Sunday 10th February 2013. This year’s show is bigger and better than ever, with over 150 companies showcasing the very latest caravans, motorhomes and accessories – including the full range of caravans from the new manufacturer Eterniti and for the first time a full stand of Hymer Motorhomes. On show will be a phenomenal selection of holiday homes and luxury lodges from UK’s leading suppliers, available with outstanding offers and discounts exclusive to visitors of the show. The collection is the widest in the UK and is a sight not to be missed! Once again the show will take over all five halls of the SECC and for the first time ever have one Hall dedicated to accessories and awnings, with a brand new Borders Leisure Accessory Superstore, showcasing the latest accessories from the leading suppliers. 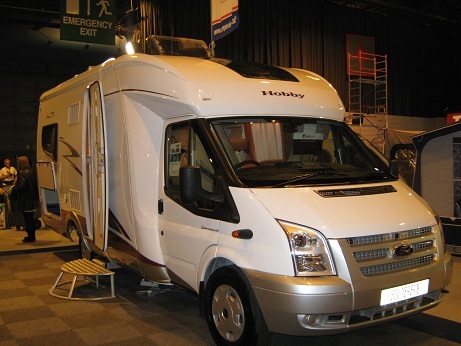 Visitors will once again be able to learn some useful techniques from the experts at our Caravan and Motor Caravan Manoeuvring Lessons courtesy of The Caravan Club. Visitors will be able to have a go at caravan towing or motor caravan manoeuvring at our outside track, whether for the first time or as a refresher, in 20 minute taster sessions. Please remember to bring your drivers licence to participate. 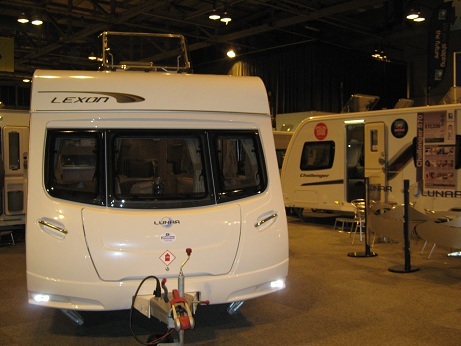 Keep up to date with the latest news and special offers on the show website at www.caravanshowscotland.com and also to find out information regarding our family friendly features and attractions. Advance tickets* are on sale now and are available until 5th February 2013. To book visit www.caravanshowscotland.com or call the ticket hotline on 0844 395 4000. To find out more about this year’s exhibition follow the show on Twitter @Caravanshowsecc or visit facebook/CaravanShowScotland. * Advance tickets subject to booking fee. Our competition to Win a Year's subscription to the excellent "France" magazine is now Closed. Congratulations to our winner Mr M. Coupar. However see below for a great offer if you would like to try France magazine. The popular "France" magazine is published monthly and has some great articles about different towns and regions of France as well as articles about French culture, travel, language and food and wine ! France magazine is a great read for anyone planning a holiday in France or for all those Francophiles who enjoy French culture ! A year's subscription at £30.99 (see below) would also make a fantastic Christmas present - you could package up the magazine subscription with some French chocolates and a bottle of wine ! 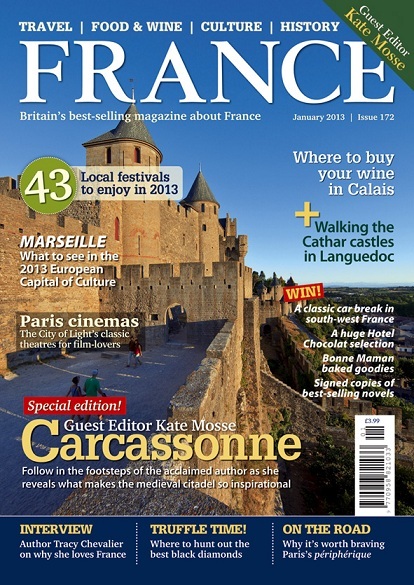 Try 5 issues of FRANCE Magazine for just £5 – SAVING 75% by Direct Debit What’s the catch? There isn’t one!